Yesterday, this blog covered some tweaks that are coming to the iPhone 5C in terms of pricing and the introduction of a new 8GB model. However, that wasn't the only under the radar announcement that the company made yesterday. According to several news outlets, the company is also phasing out the iPad 2 and is replacing it with an upgraded version of the iPad 4 at the same price point. The model will feature a 9.7-inch Retina display and supports LTE carriers worldwide. This is significant because in November 2013, when the latest lineup was unveiled, the iPad 4 was discontinued and the price of the iPad was reduced. Now it appears things have been swapped. With all of these options floating around, it can be difficult for organizations to decide which version of the tablet should be considered for an iPad deployment. However, it doesn't have to be a challenge. A recent article from Business Insider looked deeper into some of the more popular questions that need to be answered by businesses before they pick an iPad. "Although the company is still offering four tablet options, this change could certainly affect the buying decision," the article reads. "Previously, people in the market for a larger-size iPad had two options: cough up $500 for the top-of-the-line iPad Air or purchase a dated model that's three generations behind and $100 cheaper. Now, Apple is offering a tablet with faster performance, a Retina Display, and the newer Lightning dock connector for the same $399 price." iPad Air or fourth-generation iPad? The big difference here is design. The Air is slimmer, lighter and features a straighter edge that make it easier to grip. There is also a few changes with the inner workings as the Air runs the improved A7 processor capable of 64-bit computing, while the iPad 4 uses the older A6X chip. After that, they are basically the same, so price (Air $499 vs iPad 4 $399) could be the deciding factor here. iPad 4 of iPad Mini with Retina Display? These two get compared because they have the same price point ($399). The obvious difference here is the size of the screen. The Mini features a 7.9-inch screen compared to the 9.7-inch one of the full-sized iPad. Another big difference is storage. 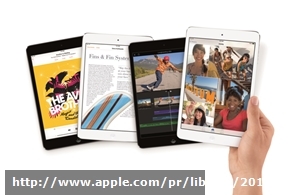 The iPad 4 only comes in a 16GB model, while the Mini touts 32GB, 64GB and 128GB. Original iPad Mini or Retina Display? The price is the biggest thing here ($299, compared to $399) as the iPad Mini with Retina Display is a superior machine. That is not to say that the original iPad Mini is a slouch. It is just behind the rest of the family when it comes to hardware. Adding LTE capabilities is an immediate upfront cost of $130 plus a monthly bill. However, if you plan to use the iPad on the go or in the field, it is a must have. That is entirely up to you. There is no difference in performance when comparing colors. There are many companies that have decided it is time to incorporate iPads into the business landscape. However, picking the right iPad can be difficult. With the help of an IT consulting firm that specializes in Apple support, any company can gain a hand in making the right decision for their business.